In addition to his career as an academic scientist, Leif is also a professional musician. He plays violin and tours nationally and internationally as a member of bluegrass and folk music groups. When he’s not engaging in scientific or musical pursuits, Leif enjoys rock climbing, river rafting, and generally spending his time outdoors. Leif uses fluid and solid mechanics approaches to better understand how water moves through glaciers and how magma moves through the Earth’s crust to erupt in volcanoes. Much of his work involves developing theoretical models to better describe these processes. Leif’s father is a field geologist, and as a kid, Leif was able to go on trips to the Grand Canyon and other beautiful places for his father’s research. At that time, there were a lot of aspects of geology that Leif did not enjoy, so he was convinced that was not a career he wanted to pursue. His mom is a professional musician who plays violin in an orchestra, so he has always had influences of both art and science in his life. Leif took classes in math, physics, and music in college, and he worked a variety of odd jobs over the summers. After college, Leif planned to move to California to wash windows of high-rise buildings, but a mentor he had worked with previously encouraged him to attend graduate school instead. This serendipitous event launched Leif’s scientific career. In graduate school, Leif’s advisor conducted experiments using fluids analogous to what they were interested in understanding in the natural world. In their basement lab, they used fluids like corn syrup, hot wax, and others to study properties of fluids like magma. Working with corn syrup presented its own set of challenges because it was so sticky and would get everywhere. Another challenge occurred when Leif created an experimental system to study the properties of melting ice due to turbulent water flow. He invited everyone to witness the launch of the project with tubes and pumps pushing water through a giant ice block in a big walk-in freezer. Unfortunately, there were some critical details Leif hadn’t worked through that resulted in an unanticipated deluge in the lab. While perusing photos of the Greenland ice sheets and pondering the streams of water flowing over the surfaces of the glaciers, Leif became interested in how these supraglacial streams form and what governs their morphology. The streams are essentially melting into ice surfaces, and they often demonstrate patterns similar to what you see with water flowing over land surfaces. His PhD advisor thought it was a neat idea, but not likely to be funded. Years later, Leif was contacted by a colleague who had data from these Greenland ice sheets, and they decided to write a NASA research grant proposal to further study these streams. It was so exciting when their proposal was selected for funding. Leif attended a scientific conference that allowed him to spend a few weeks exploring the Galapagos Islands and Ecuador. The Islands are interesting not only from an evolutionary biology perspective, but also due to the unique volcanic environment. It was a small conference, so it was great to meet some of the big names in the field. The island of Fernandina was Leif’s favorite since they had a chance to see many of the volcanic features, get a sense of the landscape that makes the Galapagos Islands unique, and observe the occasional large tortoise in its natural habitat. While Leif was in graduate school, his advisor Dr. Michael Manga was awarded a prestigious MacArthur Foundation Fellowship, and shortly afterwards, he was presented with an even more unexpected honor: inclusion in People Magazine’s “Sexiest Man Alive” issue. It was hilarious for Leif to see his advisor posing for a photoshoot around the lab in a leather jacket. What made it even funnier was that his advisor’s wife only found out when her mom saw the photo in People Magazine while waiting in line at the grocery store. Work hard. You don’t have to be a genius or have all the opportunities in the world. If you work hard, you’ll make it. It’s also important to be broad-thinking and well-rounded person. Leif received his Ph.D. degree in Earth and Planetary Science from University of California, Berkeley in 2011. He is currently an Assistant Professor in the Department of Earth Sciences at the University of Oregon. 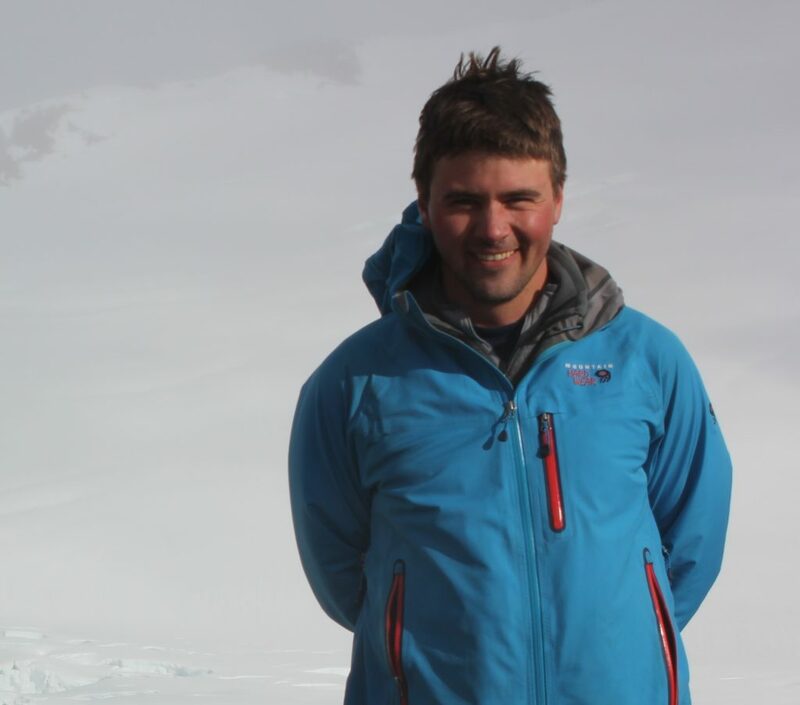 Lief’s primary scientific interests are in the fields of volcanology, glaciology, and landscape evolution. His research involves development of theoretical and numerical methods, field observations, and sometimes lab experiments with analog materials such as wax or corn syrup. He plays music professionally, with the groups Front Country and Small Town Therapy.